Shake things up by printing with actual copper! 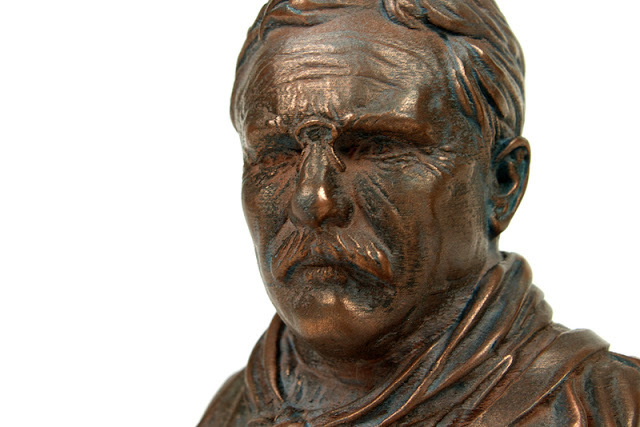 Start 3D printing with real metal filament today using ColorFabb copperFill. 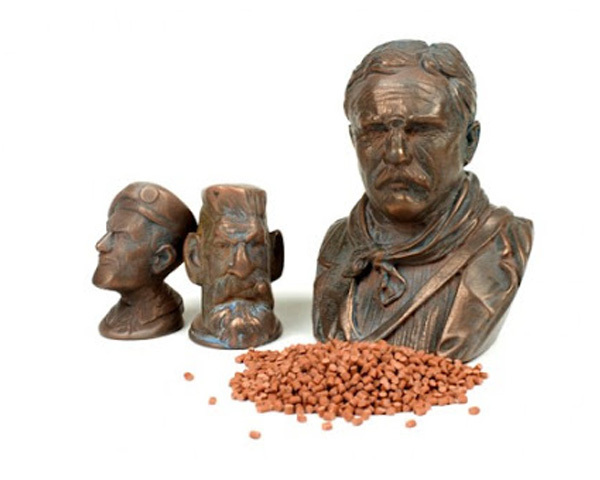 copperFill is made of real copper particles and PLA so it works with desktop 3D printers! Searching for an authentic metallic look? No further investigation needed! 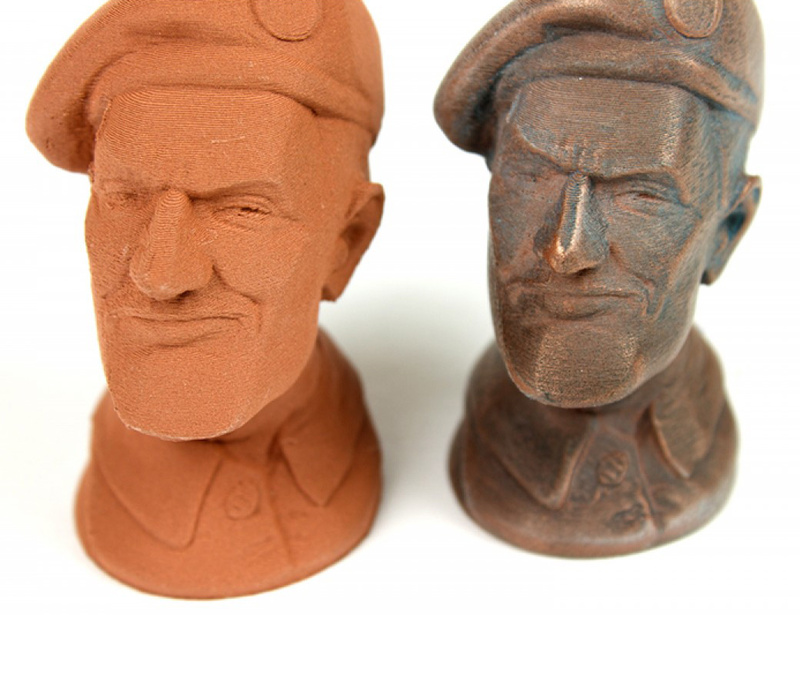 ColorFabb's copperFill filament is perfect for a rustic finish. To achieve a nice, smooth piece, all you need to do is print, sand, and polish! This filament prints best with a sturdy extruder, like our E3D all-metal HotEnds. At first, the copperFill appears to be laser sintered with a matte finish - fear not, for a little sanding and polishing allows the infused copper particles to sparkle unlike any filament that you have seen before! Another great characteristic of copperFill is its weight - it's about three times heavier than standard PLA, which really adds to the authenticity of your prints. This is ideal if you are printing items like jewelry or other artistic pieces. During production, colorFabb uses laser measurement systems to confirm that the diameter of the filament is consistent - this guarantees that your printer is extruding the exact amount of filament that is should be. Bed Adhesion: use blue painter's tape with no heat, or bare glass @ 55-60 °C; when printing straigh on the heated glass, use gluestick or kapton tape. 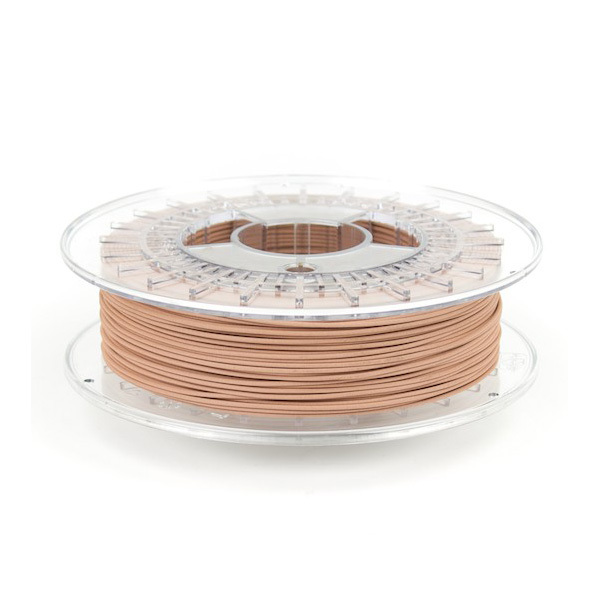 Because of copperFill's combination of PLA and copper fibers, heat will travel through the filament more efficiently - this means that the filament will heat more easily, and cool down faster when leaving the nozzle. (This is great for printing objects with an overhang). Use coarse steel wool to polish the surface of the print. You can apply quite a bit of pressure but don 't polish a specific spot for too long - it can get hot and soften the material. After using the steel wool, the print should be shimmering and smooth, with no visible print lines. To acheive the darker, almost shadowy look in certain print, apply a very thin layer of black spray paint, and then immediately wipe it off with cloth. The paint will remain in the nooks and crannies of the details that you want to look enhanced. Finally, use a copper polish to get the piece to really shine!